McCurdy Knows What It Takes To Restore Your Car Right! We take our paint work seriously and we don’t mess around when it comes to painting your vehicle! McCurdy Body Works specializes in professional color matching specefic to your vehicle model and year. We use top quality eco friendly paints and materials to refenish your car like new. Our experienced painters work hard to perfect each and every vehicle. 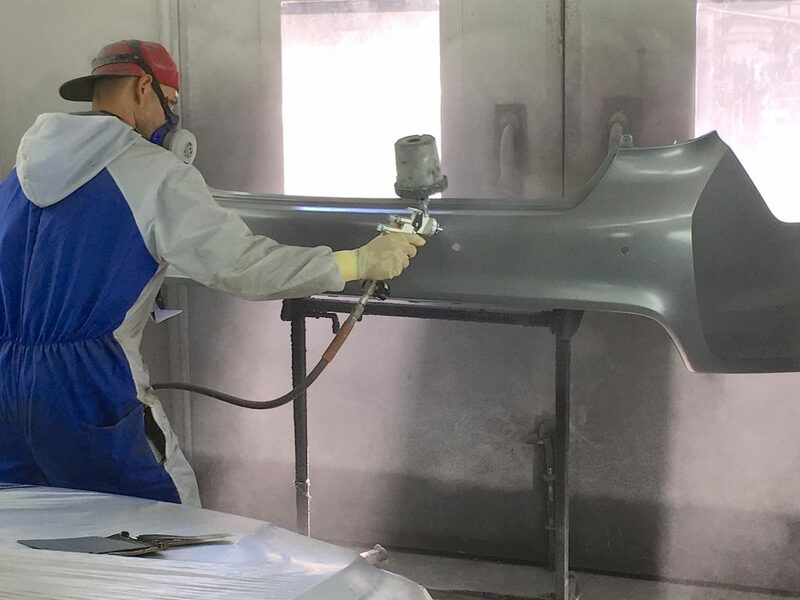 Our automotive refinish services include a highly durable clear coat bult to last; more importantly your newly repaired damaged section will blend nicely with the rest of your car. McCurdy Body Works are specialist in the paint process of collision repair. Our quality skills and professional paint materials allow for a beautiful finish that lasts! We are not stingy when it comes to applying the clear coat. We layer on several coats of clear coat finish to protect your vehicle from the different California climates. Our painters come certified and experienced in automotive refinishing. Do you have a few questions? No worries we’d love to help you out, call us at (626) 796-7763!